With the success of Roland Emmerich’s The Day the Earth Stood Still this weekend and his upcoming 2012 focusing on the apocalyptic end of the Mayan calendar, Paul Owen from the Guardian’s Filmblog thought it would be a most excellent time to dismantle the global disaster movie genre to find out what makes it tick. It is crucial at [the midpoint of the movie] to destroy an iconic building in a breathtaking scene you can feature in the trailer. 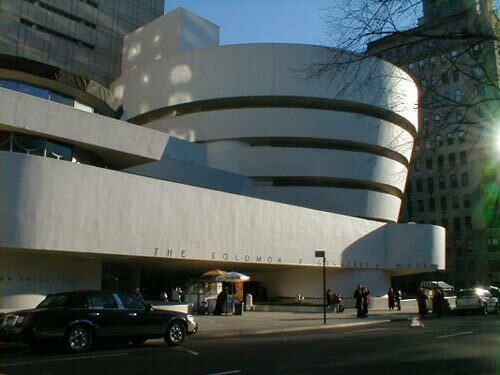 A lot of New York’s most famous buildings have been used before, however—some more than once—but how about the Guggenheim museum? You could have it flip on to its side and roll all the way down Fifth Avenue like a wagon wheel. I’m sure there’s something from Freud’s Civilization and It’s Discontents that could help explain not only why people are interested in watching such things … but also what drives writers, directors, and eapparently even filmbloggers to want to create them.